An innovative solution to help overcome structural limitations in provision of lifting aids for disabled people is being promoted by Closomat. A growing issue for specifiers in the public sector is the need for carers to lift and help the one they care for transfer, particularly with Health & Safety guidelines and an increasingly obese population: thus the need for a ceiling track hoist. The need arises in domestic, residential care and away from home/ public environments- particularly, with the last, with the provision of an assisted accessible toilet aka a Changing Places or Space to Change toilet. But often, structural considerations obviate the ability to attach the hoist track to the ceiling, or fix to walls. Closomat has the ability to supply and install a full room or room-room hoist system that can be supported on discreet yet robust stanchions. Thus ceiling and wall obstructions and/or load limitations can be overcome. Closomat’s range of track hoist solutions can accommodate a 200kg/31st lift, and can descend as low as required- even allowing pick-up from the floor. 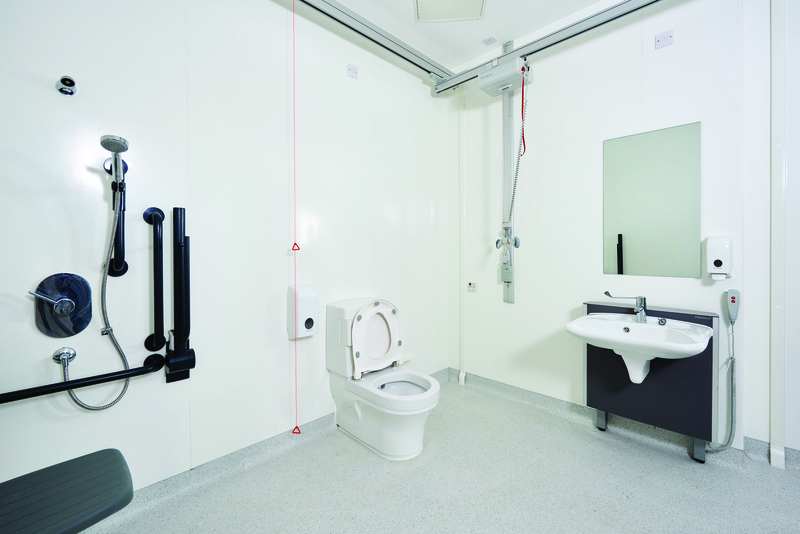 Closomat (www.clos-o-mat.com) can provide, in-house, full design advice, supply, install and subsequent service/maintenance of the equipment, to help the accommodation industry accommodate disabled/ accessibility needs, be it in en-suites, bathrooms, accessible WCs and Changing Places/ Space to Change facilities. The company is the UK’s brand leader in provision of toilet solutions that enable independence, dignity and control in domestic, public and commercial environments.